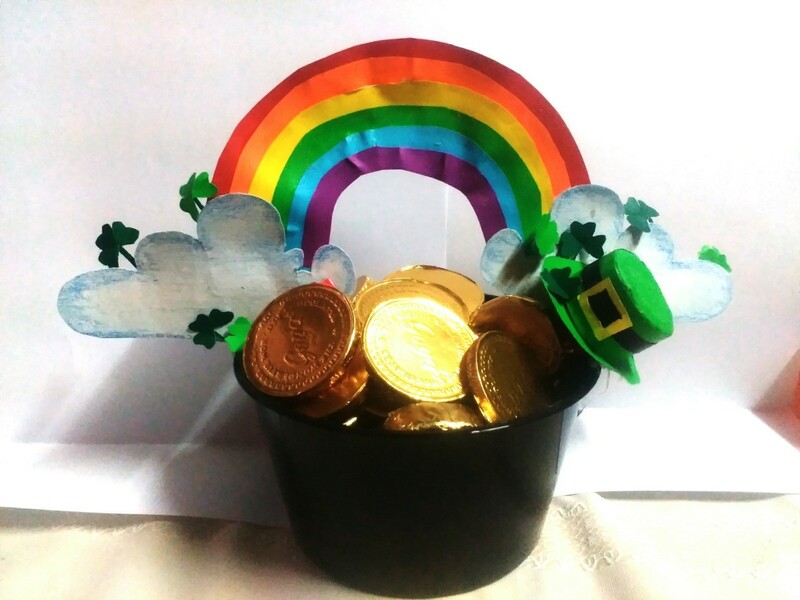 At the end of every rainbow is a pot of gold. 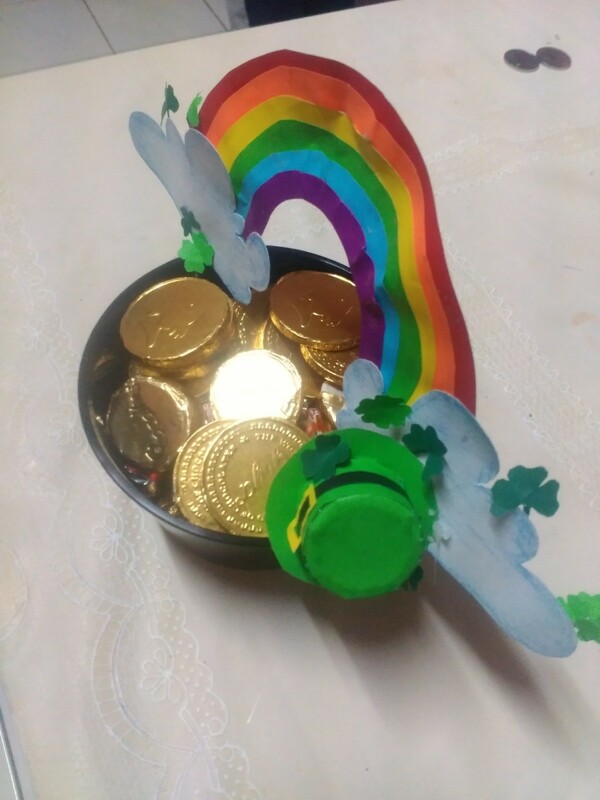 The leprechaun left its powerful green hat that saves him from traps. It's caught in a trap and the princess was able to slide herself down the long rainbow. 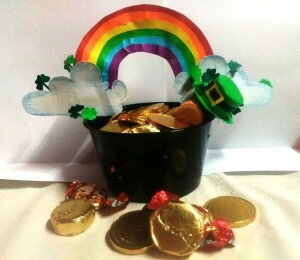 She fell into a pot of gold under thick clouds at the end of the rainbow where the leprechaun's hat was left. 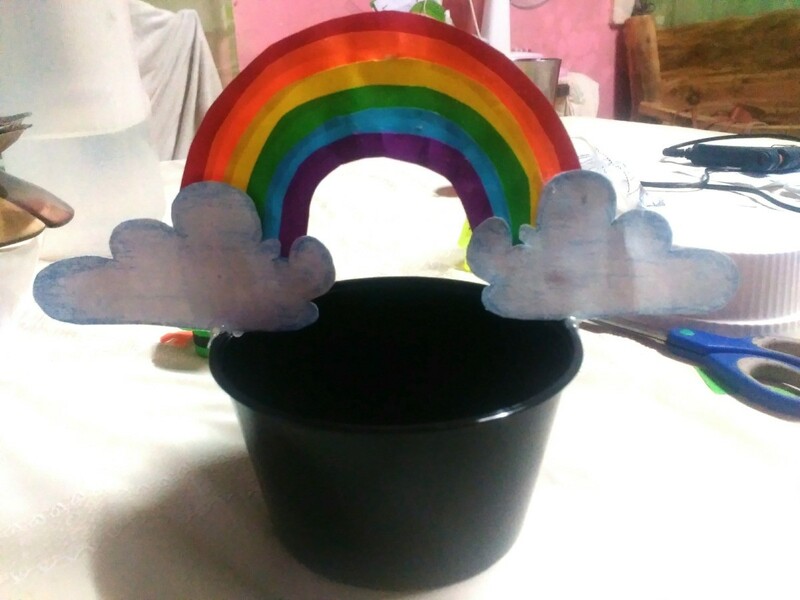 That's the story running inside my mind while doing this craft. 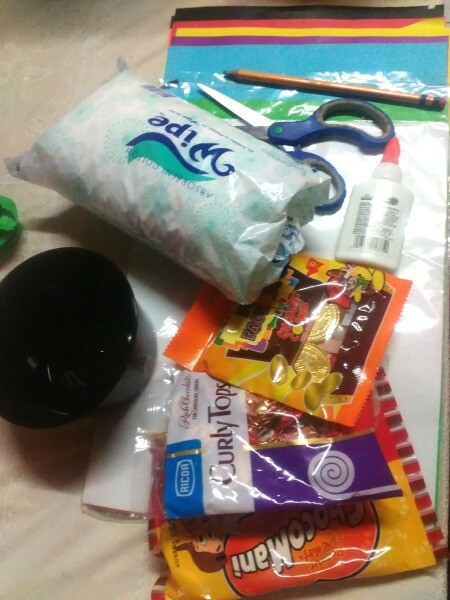 Note : if you don't have this black container use the bottom of a plastic bottle and color with black paint. 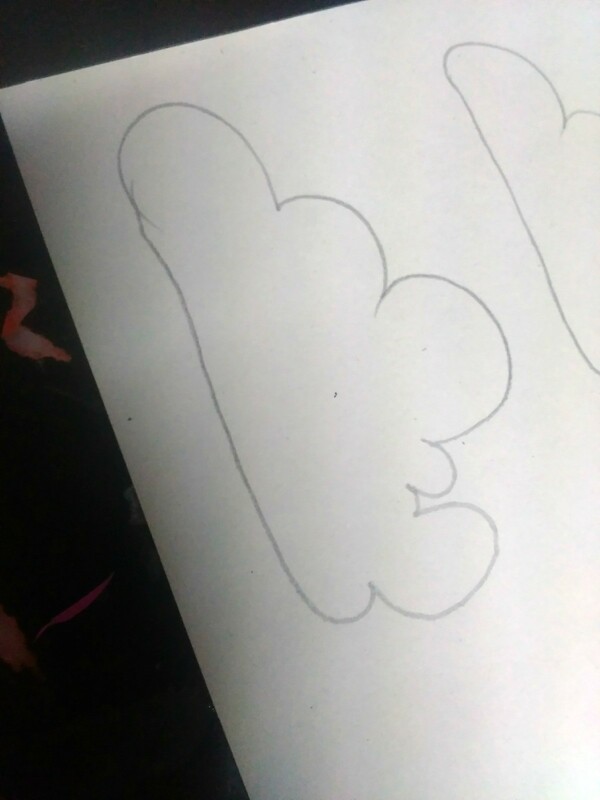 Draw a cloud on a piece of white paper. 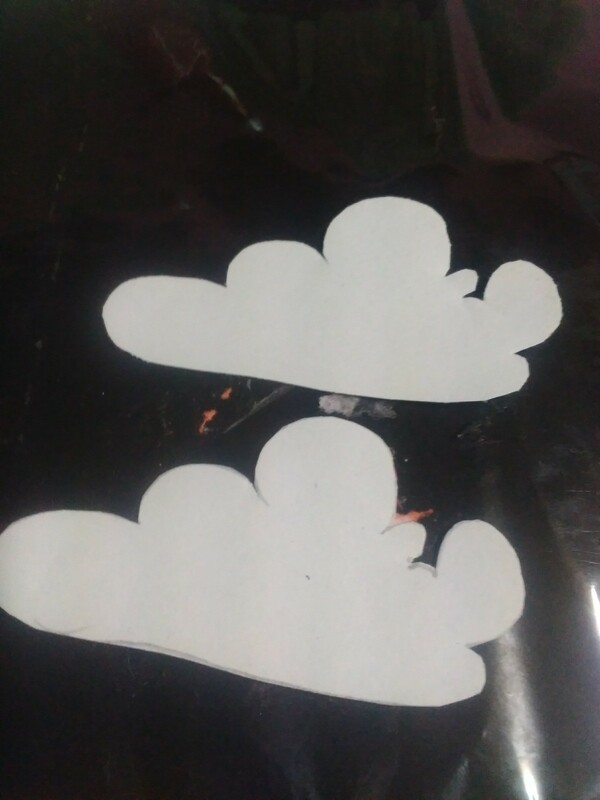 Fold the paper and cut so you can have two clouds. Shade the edges with blue crayon or oil pastel. 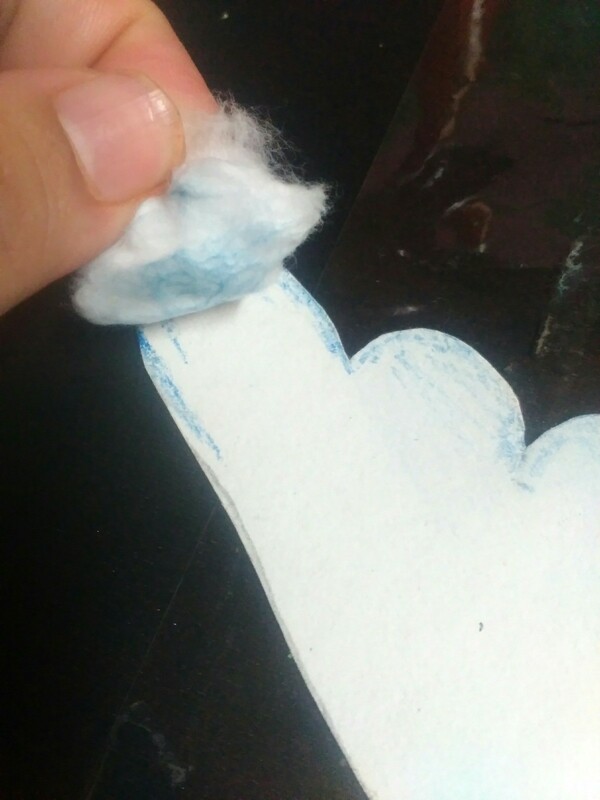 Rub the blue traces using a piece of cotton to spread the color and to add detail to the clouds. Set them aside. 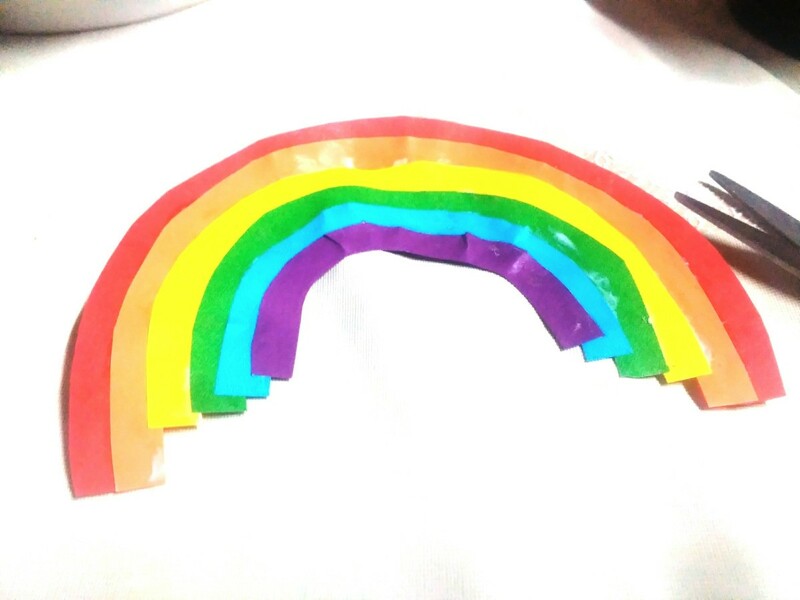 Estimate the size of the rainbow. Draw two curved lines with one smaller than the other. 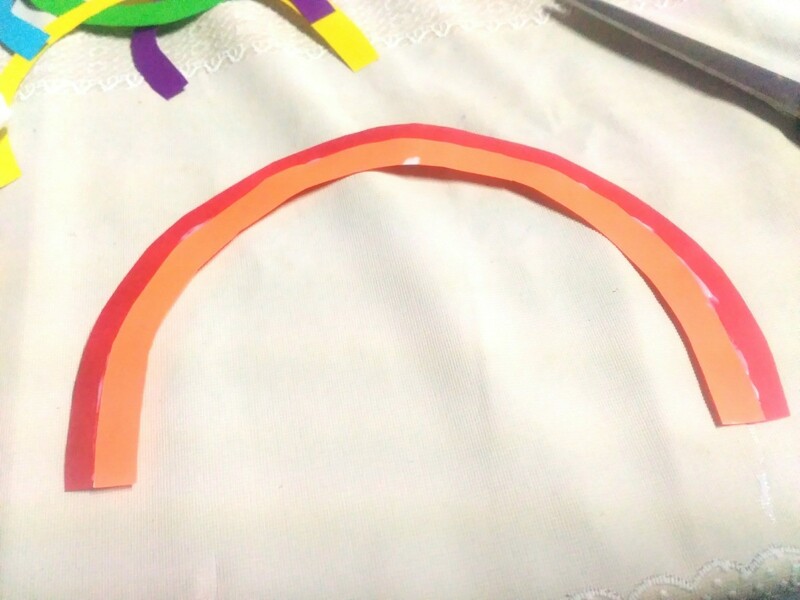 Cut this out to make a curved strip. Use the first strip to trace the next color. 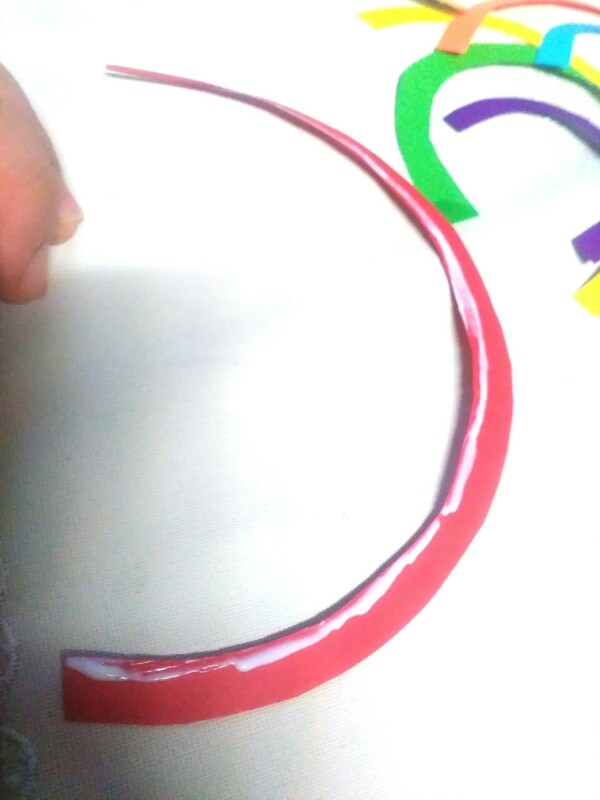 The upper curve of the second strip should fit the size of the lower curve on the first strip. 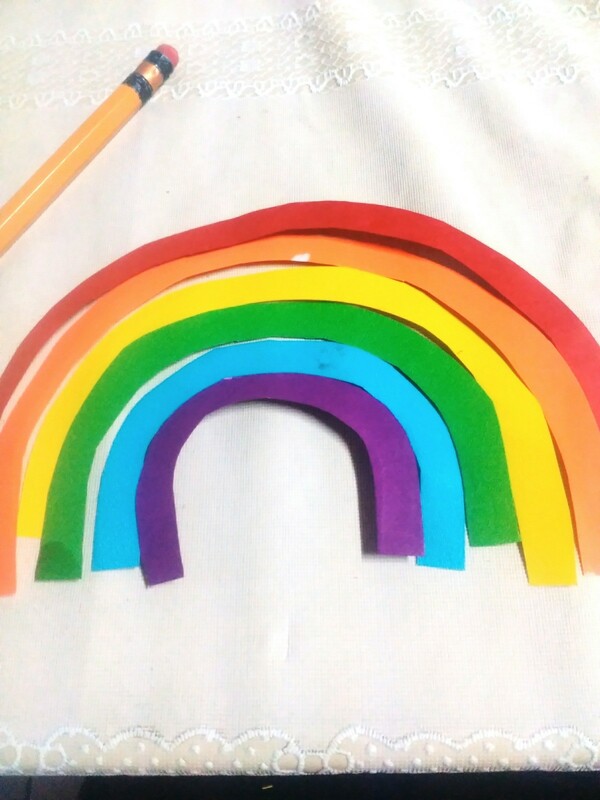 Do the same to the rest of the rainbow colors. 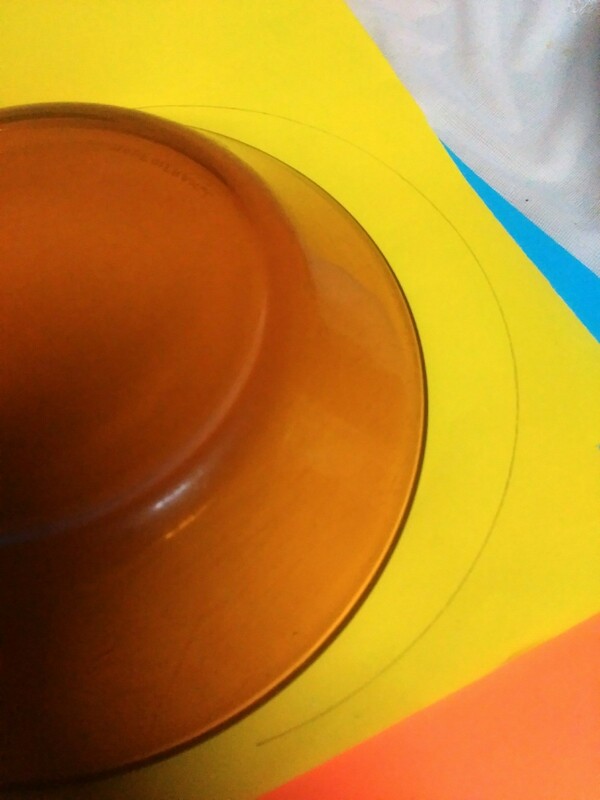 Apply glue on the lower curve of the first color. Stick the colors into place. 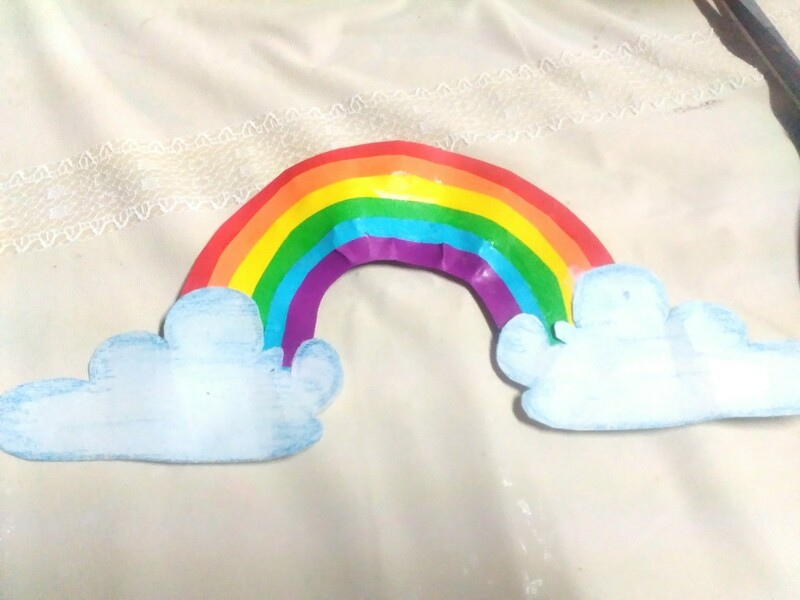 Glue the two clouds on each of the two ends of the rainbow. Stick this onto the black container using hot glue. 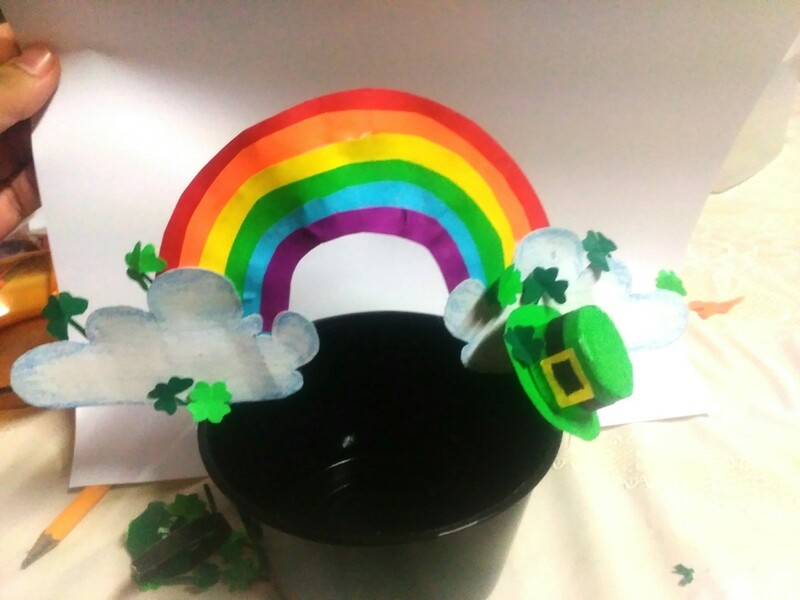 Add decorations such as a leprechaun's hat and clover leaves. Put all your gold coins inside. Share your pot of gold with everyone on St. Patrick's Day!